This post has been a couple of months coming (cue freak out that PhD is already two months in...) but was inevitably delayed. I had planned a very big post about my decision to start a PhD, what I enjoyed about working as a research assistant and what I was looking forward to with my reactivated student status. So, friends/colleagues/peers/etc, it has come to my attention that perhaps I haven't brought to everyone else's attention that I've started my PhD. So consider this post me telling you. Any advice from the collective intelligence of the Bioinformatics Graduate Student Association? If you read enough blogs and books about starting and finishing a PhD, 'write every day' is a recurring piece of advice, and it was one of the more frequent responses to my question from my friends. I suppose it's time to take the hint. and PhD student (right) so far is the size of coffee I can afford. This post therefore counts as writing, even though it isn't a large amount, and even though it isn't exactly profound, it's done. 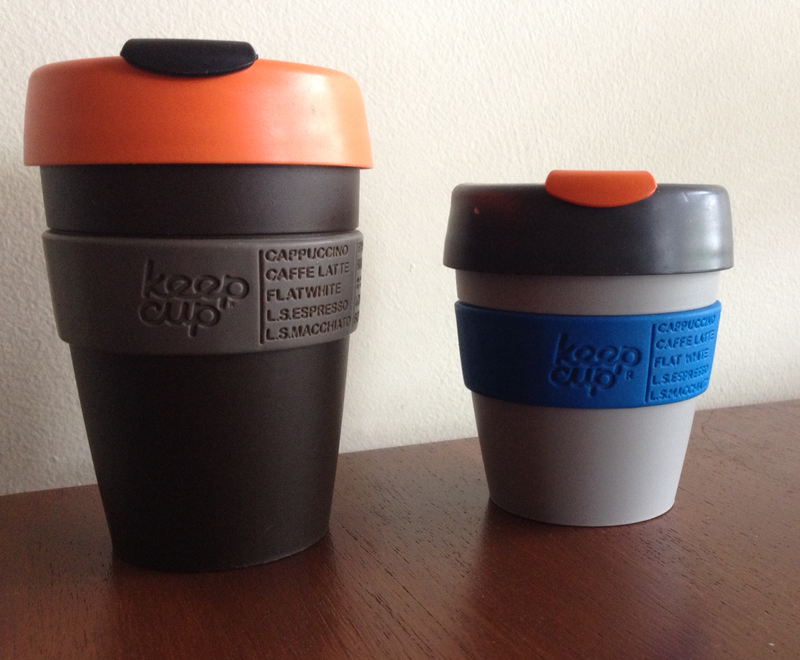 It's not the perfect welcome to PhD post I'd imagined, but I managed to include the amusing picture about KeepCups that I wanted to and, as I'm about to hit publish, it's off my todo list and I'm thinking about the next thing I'm going to write. Which I guess is the point. Views expressed are my own and not those of my employer or organisations I associate with. Simple theme. Powered by Blogger.